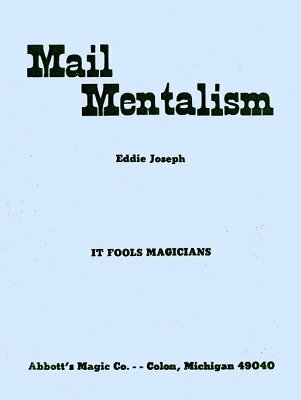 Mail Mentalism is a card trick that can be done via mail, email, phone, radio, across rooms or other communication channels. It is an automatic effect where you only provide instructions but do not require any feedback or response. The spectator will need a deck of cards. The instructions are customized for each occasion. This is a great trick to amaze somebody long distance, be it to solicit a possible engagement, introduce yourself to a journalist, or even fooling a magic friend. 1st edition 1949, 8 pages; PDF 9 pages. A unique routine. The explanation may sound a little long but in practice quite simple and effective.